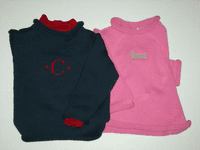 Style: Please Choose OneFuchsia 3TFuchsia 4TNavy 0-12 mo-On OrderNavy 2T-On OrderNavy 3T Navy 5/6Chocolate Brown 4TChocolate Brown 5/6Red 3TRed 4T Name, Initial or Monogram: Personalization Location: Please Choose OneNoneCenter ChestLeft Chest Font Type: Please Choose OneNoneDiamond (monogram)Circle Script (monogram)FishTail (monogram)Block8Block107Script10Script51EScript51AMonogram #15A FontMonogram #40 Font Thread Color: Please Choose OneNoneMatch Primary ColorWhiteRedDark PinkPale PinkYellowRoyal BluePale BlueWhiteBlackRedOrangeGreenIvoryTan Who is this item for? 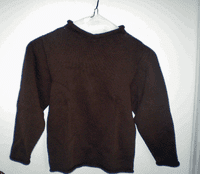 Jersey Roll Neck Baby Sweaters. Soft knit sweaters are just the thing to bundle up your little "bundle" as the weather turns cooler. 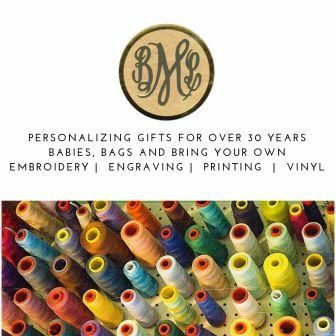 Personalize with a name, single initial or monogram. Be sure to complete the "who is this for?" section. For more detailed information regarding how we embroider please see the Personalization Page.